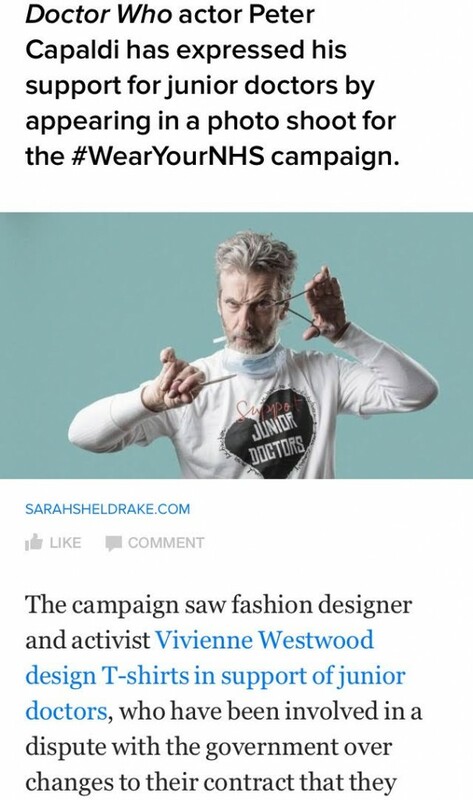 Buzzfeed News 07.02.2016/ Peter Capaldi joins the #WearYourNHS Campaign in Support of Junior Doctors. By Laura Silver. The Press Association You Tube 06.02.2016/ Vanessa Redgrave hails NHS staff as she backs junior doctors in dispute.